Yaletown Orthotics can host an onsite Foot Screening for the employees of your company. As a complementary service, focusing on the promotion of health and corporate wellness for the businesses in the Vancouver area, we offer brief and individualized foot screenings to employees of various companies. 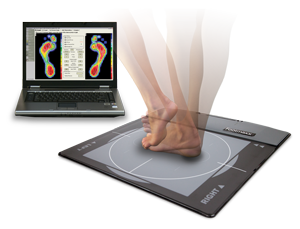 Using the GAIT Analysis instrument, each employee receives a comprehensive scan of both feet. Each employee will then obtain an interpretation of the GAIT function by a qualified doctor, and a recommendation for a custom foot orthotic if one is necessary. All participating employees will then have the opportunity to have their questions about foot care and possibly related ailments or concerns answered. Opportunity to demonstrate care for the health and well-being of your employees. A chance to promote healthy living choices and health education. GAIT Analyses for all interested employees at no cost to examine their foot function. Recommendations of lifestyle and foot orthotic necessities by a qualified specialist. Opportunity for all staff to ask questions and enhance their ability to perform at work, home, and in sports. A chance to educate the greater public about non-invasive health services we support and believe in. Movement away from the ‘Sick-Care’ Model of health, toward a rationale of maintaining wellness and preventing lifestyle related conditions. Opportunity to treat the debilitating conditions of certain persons, and restore health and well-being in more people. Improve the health of your employees today! Call or make an appointment to find out more about this corporate wellness opportunity!